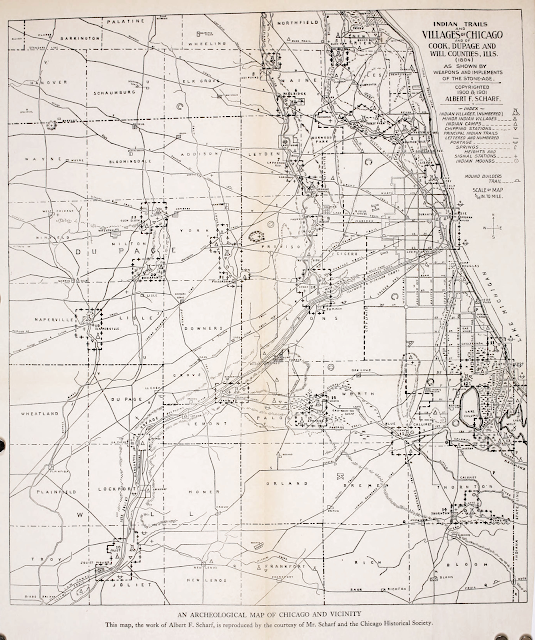 The Digital Research Library of Illinois History Journal™: Mixture of Tribes in Chicago Area Indian Villages. Mixture of Tribes in Chicago Area Indian Villages. Indian villages were almost always composed of people from more than one tribe. This mixture of tribal people in Indian communities was characteristic of the region around the base of Lake Michigan, including the Chicagoua (or Chicagou) area, as well as other parts of the country. CLICK MAP TO OPEN IN FULL SIZE. There are many reasons for people from several tribes to be living in an Indian village as minority populations. Some might be captives brought back from warfare in another region and incorporated in the tribe. Indian people have always been great travelers and traders, and occasionally married young women they met in the villages of trading partners. When Indians visited allied tribes, they might stay a year or two before returning home, sometimes bringing home friends for a return visit. Indian people have always been known for their hospitality and were proud to be able to entertain travelers as well as official couriers and delegations arriving on inter-tribal business. Disagreements and sporadic warfare led to the appearance of small groups from other tribes in any major Indian settlement. Since each village or band tried to achieve a consensus in decision-making, the minority faction might voluntarily move to another town to end the dissension. Warfare also brought about the migration of entire communities, which moved into the territory of another tribe with permission to reside as guests of the host tribe. In major warfare along the American frontier, warriors and their families from eight or ten allied tribes periodically formed a multi-tribal military center that continued in existence for several years. When the tribal groups in the military center dispersed, they often took with them comrades in arms from another tribe. Epidemic disease was another factor causing new population mixtures in Indian villages. Survivors of an epidemic usually abandoned the site of contamination and went to live with other people. Often their numbers were too small and they were too weak to continue alone. Religious fervor also produced new combinations of tribal people, as converts flocked to the home village of a new prophet or messianic leader. Non-Indian people also lived in Indian villages of the Chicago district, as they did in other parts of North America. The fur traders who travelled regularly from Montreal or Three Rivers in Canada, and later from St. Louis, Albany, Mackinac Island, Philadelphia, or Pittsburg lived part of the year in Indian towns. Often the traders had Indian families. These traders were of diverse European or African origin, adding to the complexity of populations in Indian communities. In the seventeenth and eighteenth centuries, genetic heritage was not a matter of critical importance. If non-Indians lived according to Indian customs, they were accepted as relatives and kinfolk, though the assignment of clan affiliation presented a problem. Many White frontiersmen took Indian women as wifes. White captives who were children were raised as though they were of Indian origin. All of these factors affected the population composition of the Indian villages of the Chicago area and surrounding country, at one time or another, during the past three hundred years. Although historical records for events creating population mixtures exist only for a little over three centuries in the upper Great Lakes, oral traditions provide knowledge of similar occurrences for a much longer period of time. The group of Indian villages located in the present state of Illinois and on the west bank of the Mississippi River (the Indians called the Mississippi River, "Sinnissippi," meaning "rocky waters"), with large communities on the Illinois River, were known to the first French explorers as the Illinois Indians. These people were involved in the capture and trading of captives from tribes living to the southwest of their own homelands. In French records, these captives were called "panis", apparently an interpretation of "Pawnee", though the term referred to Indian slaves from any tribe west of the Mississippi River. So early Illinois Indian villages could include western Indian slaves. These "panis" were also recorded in census records of the mid-eighteenth century for French and Indian communities on the Straits of Mackinac, Detroit, and Fort Miami (present Fort Wayne, Indiana). The vicinity of modern Chicago has never been a favorite site for Indian habitation. The sand dunes and swamps, with restricted timber and agricultural land, did not attract large numbers of Indian people. In the late seventeenth century, when there was a fortified post at Chicago for a brief time, Miami Indian people were living south of present Chicago near the bend of the Calumet River and on the Fox River about forty miles west of Chicago. These Miami, whose language is the same as the Illinois, may have been in the process of returning to their customary home base on the Wabash River of Indiana after fleeing temporarily from the rout of Iroquois war parties from New York. The Miami village near the Calumet River nevertheless was attacked in 1687. In the 1680s, the principal concentration of Indian people in northern Illinois was the vicinity of Fort Saint Louis du Rocher [on "the rock"], established by René-Robert Cavelier, Sieur de La Salle (or: René-Robert de La Salle), in 1682 at Starved Rock, an island in the Illinois River near present Utica, Illinois, about ninety miles southwest of Chicago. In addition to the large Kaskaskia village, Shawnee and Miami settled near the fort, which was the objective of an Iroquois expedition in 1683. The alliance between the Iroquois and the Miami quickly soured when the Miami also allowed groups of Shawnee (Iroquois enemies) to settle among them. Threatened by their one-time allies in 1682, the Miami switched sides and allowed LaSalle to arrange a peace between them and the Illinois. Afterwards, the Miami Confederacy began to concentrate near Fort Saint Louis du Rocher, LaSalle's new trading post on the Illinois River. 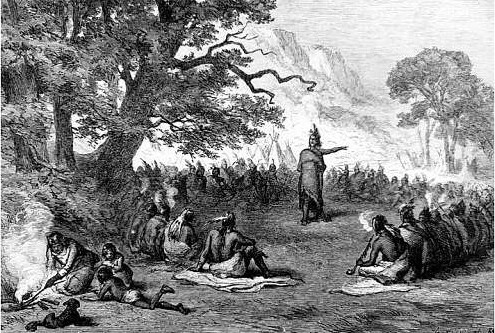 The Seneca could not ignore the presence of 20,000 Algonquins trading with the French along the Illinois River and returned in force to the area in 1684. The attacks first hit the Miami villages in Indiana and then swept west into Illinois only to meet defeat by an new alliance of Miami, Illinois, and French. The Seneca failure to take Fort Saint Louis du Rocher in 1684 is generally regarded as the western limit of Iroquois expansion and the turning point of the Beaver Wars. The French strengthened their forts afterwards and began to provide arms to an alliance of Great Lakes Algonquin which they had created against the Iroquois. Coinciding with the King William's War (1688-97) between Britain and France, the alliance went on the offensive in 1687. By the 1690s the Iroquois were in serious trouble and retreating back across the Great Lakes to New York. They were, however, still dangerous. Not only did marauding Iroquois war parties continue to make travel dangerous on the Illinois River for French traders, but the Seneca destroyed the Miami village at the Calumet River (at Blue Island) near Chicago in 1687 while its warriors were absent. During their return to New York with the captured Miami women and children, the Seneca left behind a trail of half-eaten children until Miami warriors caught up and killed most of them. The long period of Iroquois warfare involving Indians living far north and south of the Great Lakes came to an end with a peace treaty signed in Montreal in 1701. The Kaskaskia representatives from Illinois probably travelled the longest distance to take part in the councils. "The Great Peace of Montreal" was a peace treaty between New France and 39 First Nations of North America. It was signed on August 4, 1701, by Louis-Hector de Callière, governor of New France, and 13 hundred representatives of 39 Indian Nations. Although the Potawatomi became the principal residents of the Chicago area during the eighteenth century, other Great Lakes Indians continued to make their homes for at least part of the year along the branches of the Chicago River and the portage to the Des Plaines River, a well-used route from Lake Michigan to the Illinois River, continuing to the Mississippi River and the Gulf of Mexico. It became a site for prosperous trading posts. Another period of warfare between the French and their Indian allies on one hand and the Mesquakie [Fox] and their allies as opponents, brought a group of Sauk and Mesquakie to the Chicago area in 1742-1743, but they soon moved westward to the Mississippi River valley, further from French authority. By the mid-eighteenth century, Potawatomi began expanding around the lower end of Lake Michigan from their headquarter town on the St. Joseph River of southwestern Michigan. The Calumet River system offered particularly attractive sites for villages, but others moved along the western shore of Lake Michigan through northwestern Indiana to present day Chicago, Milwaukee and the Door (County) Peninsula of Wisconsin. 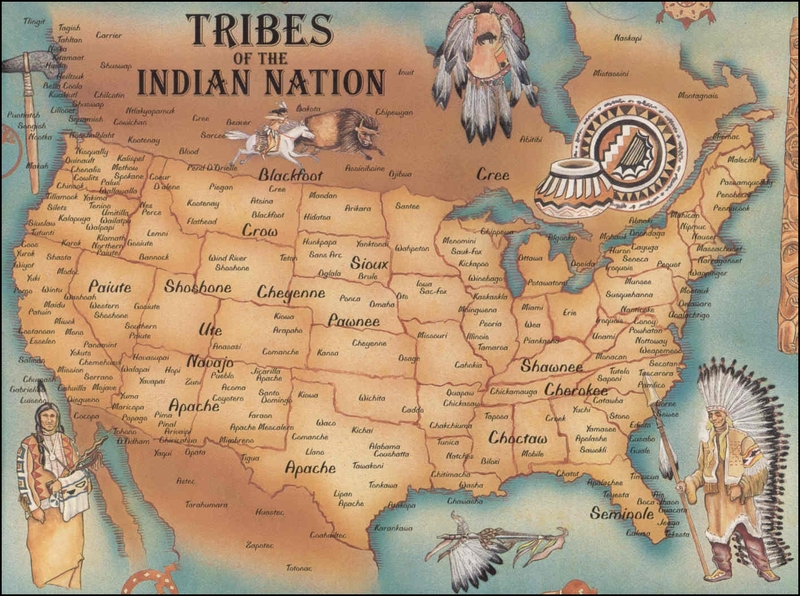 Imperial warfare between France and England, ending with the Treaty of Paris in 1763, was a factor in bringing Ottawa and Ojibwa [or Chippewa] Indians into northern Illinois and the Chicago vicinity in the 1760s. In 1760 the French established a fortified trading post at present Ottawa, Illinois, a short distance above the site of La Salle's Fort Saint Louis du Rocher, a stretch of the river traditionally occupied by Illinois Indian villages. Apparently, pro-French Ottawa Indians from near Detroit moved to Fort Ottawa when the British took over the French fort at Detroit. The resistance movement to prevent the British from occupying French forts in the Great Lakes region, a movement headed by Pontiac, the Ottawa leader from Detroit, continued in the Illinois Country until 1769. Indian people denied the right of European powers to turn over French forts in Indian country to the British. Although Pontiac was unsuccessful in his attempted siege of Detroit in 1763, his followers relocated on the Maumee River of Ohio, west of present Toledo. Pontiac himself and some of his strongest supporters came to Illinois to prevent the British from occupying Fort de Chartres in Prairie du Rocher Illinois. The Illinois Indians, then concentrated in the southwestern part of the state near Kaskaskia and Cahokia, urged him to continue the ultimately unsuccessful struggle. He had other adherents among the Ojibwa of the present upper peninsula of Michigan near Sault Ste. Marie, Ottawa from the northwestern Lower Peninsula of Michigan near present Petoskey, a few Sauk from northern Illinois, and some Potawatomi. Warriors from these tribal groups congregated at Chicago in the late 1760s, to enter Pontiac's war decided on further militant action. Chief Pontiac's War was launched in 1763 by a loose confederation of elements of Indian tribes, primarily from the Great Lakes region, the Illinois Country, and Ohio Country who were dissatisfied with British postwar policies in the Great Lakes region after the British victory in the French and Indian War (1754–1763). Warriors from the Ottawa, Ojibwa, Potawatomi, Hurons, Miami, Wea, Kickapoo, Mascouten, Piankashaw, Delaware, Shawnee, Wyandot, Mingo, Iroquois, and Seneca tribes joined the uprising in an effort to drive British soldiers and settlers out of the region. The war is named after Chief Pontiac of the Odawa (Ottawa) tribe, the most prominent of many native leaders in the conflict. The war began in May 1763 when the Indians, offended by the policies of British General Jeffrey Amherst, attacked a number of British forts and settlements. Eight forts were destroyed, and hundreds of colonists were killed or captured, with many more fleeing the region. In a famous council on April 27, 1763, Pontiac urged listeners to rise up against the British. A 19th century engraving by Alfred Bobbett. Despite the fact that a number of Ottawa and Ojibwa continued to live in the Potawatomi communities around Chicago and present Milwaukee, and even further north on the Lake Michigan shoreline, the local leadership was clearly in the hands of the Potawatomi by the 1770s. Nevertheless, in dealing with Indian people of the southern end of Lake Michigan, the American government usually called them the "United Bands of Chippewa, Ottawa, and Potawatomi." These were the Indian people whom settlers met when they came to Chicago in the 1830s. 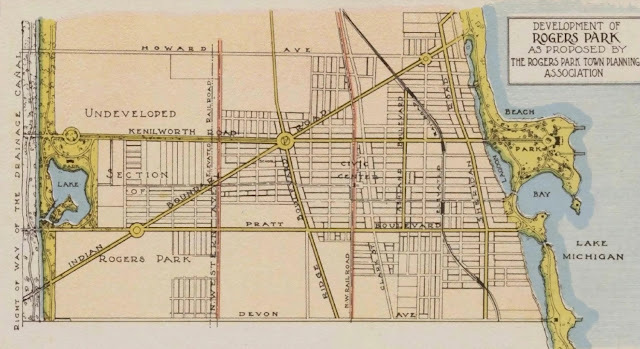 By the time of the Treaty of Chicago in 1833, whereby the Potawatomi gave up the last of their lands and reservations, the closest towns to metropolitan Chicago were at the bend of the Calumet River, south of Chicago, and on the Des Plaines River north of the portage from the south branch of the Chicago River. Both the portage site and the mouth of the Chicago River were important trading sites. Important traders at Chicago after the 1770s were of Haitian, French, Scottish, and English origin. The Fort Dearborn Massacre was partially due to the attack by Indians at Charles Lee's Place. 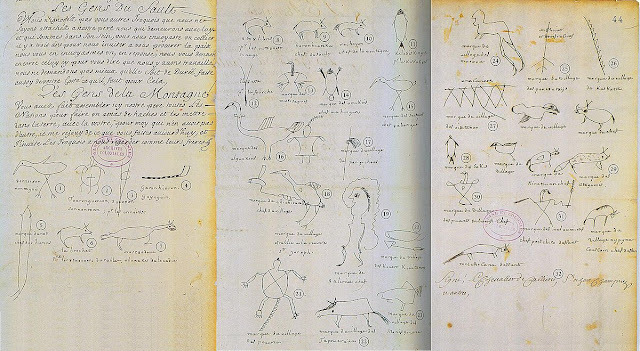 On April 6, 1812, a party of ten or twelve Winnebagoes, dressed and painted, arrived at the Lee house, and, according to the custom among savages, entered and seated themselves without ceremony. What happened next was horrific. This incendent was the precursor to the Fort Dearborn Massacre later that summer. During the War of 1812, General William Hull ordered the evacuation of Fort Dearborn in Chicago on August 1812. Captain Nathan Heald oversaw the evacuation, but on August 15 the evacuees were ambushed along the trail by about 500 Potawatomi Indians in the Fort Dearborn Massacre. By the 1830s the population composition of the Potawatomi towns further from Chicago included other minorities. Potawatomi who moved as far west as the Rock River met the Winnebago, and villages included people from both tribal groups. Other Potawatomi became followers of the Kickapoo prophet, Kennekuk [died c.1858], and lived with his band on Sugar Creek close to the present Indiana state line about one hundred twenty miles south of Chicago. Potawatomi living on the upper Illinois River had Kickapoo living amongst them. CLICK THE MAP FOR A FULL SIZE VIEW. The above discussion indicates Indian tribal distributions and mixtures in Chicago and surrounding territory for the roughly two centuries prior to the removal of the Potawatomi from the town in 1835, and from the remainder of the state soon after 1837. Our knowledge of Indians and their movements prior to the arrival of Europeans is more limited, but they have been in this region ever since the glaciers of the last ice age retreated over 10,000 years ago. 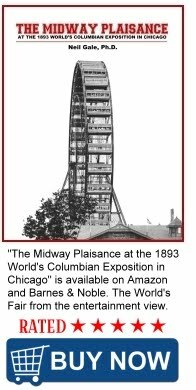 It is well to keep in mind that of the total history of human activity in the Chicago region, Indians occupied the area for the overwhelming portion of the time period.